A bright and sunny day was perfect for capturing a bit of fall color! Beautiful fall leaves, great light! Lovely light and comp; I love the shadows on the leaves! Amazing light, and beautiful shot! 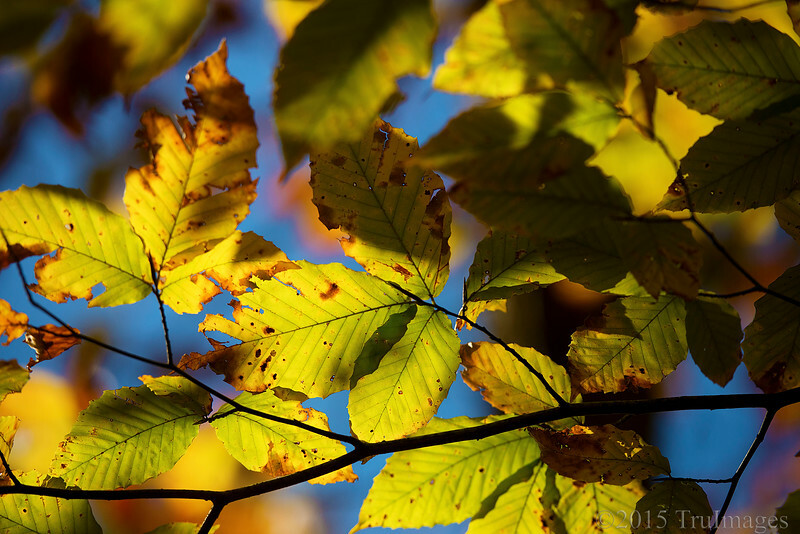 Wonderfully marvelous capture of the colors and details of these leaves! I like the leaves and the blue tones. Nice eye for this shot! !